This weekend I finished the last thing on my list as far as my Cold War Mancation series. 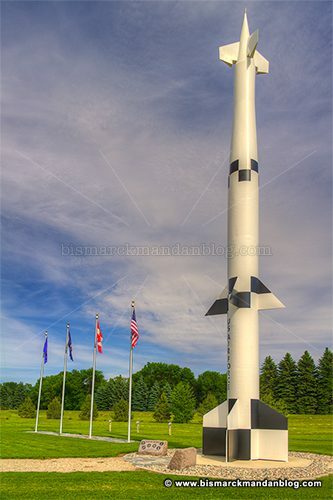 I’d visited many military and historic sites around North Dakota, but one was missing: Cavalier Air Force Station. I’d actually had one opportunity to visit, four years ago, then one of my kids took a tumble and had to go in for a possible concussion. I was twenty miles down the road when my wife called, and I had to do an abrupt u-turn and abort the trip. No such interruption this weekend. Cavalier AFS had an open house with a bunch of cool stuff and activities, but I didn’t take many photos of that. I arrived later than I’d hoped but with plenty of time to look around. The point of the trip: tour the building above. 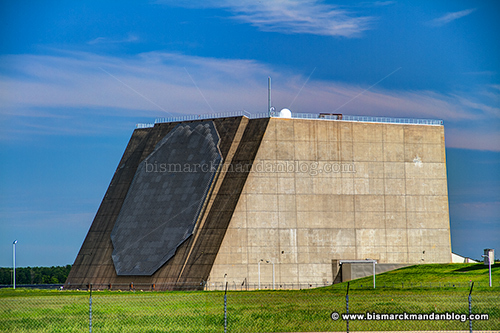 It’s an enormous Phased Array Radar (PAR), the most powerful space radar in the nation’s arsenal and capable of spotting a softball or smaller object (depending on who you ask) coming over the North Pole. No electronics are allowed in the building, so naturally photography was out of the question. In fact, that’s kind of the point. I had lots of egghead questions for the various people who presented on what they do, and it was absolute geek heaven. Everything I’d hoped it would be. 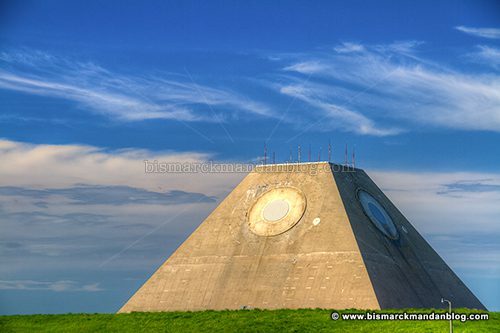 Of course I had to stop in by the giant pyramid in Nekoma, part of a decommissioned system that worked with the PAR during its original configuration to launch and guide nuclear-tipped missiles to intercept ICBMs inbound from the north. There is so much fascinating history about these two sites that my head starts spinning when I begin to think about regurgitating what I’ve learned about them. Instead I think I’ll simply but emphatically suggest that you do your own research. They are very fascinating places, and the Cavalier Air Force Station site still performs extremely valuable service to our nation. This should get you started: www.srmsc.org. Have fun! This entry was posted in Energy/Technology, Military by Clint. Bookmark the permalink.